I think the Destiny comparisons are fairly valid: The Division a shooter RPG with leveling, loot, a hub world with patrols and missions that you can perform as a fire team, public events, and PvP. Obviously there are many differences, as well, but it's Ok. Destiny has flaws that aren't inherent to it's genre, and The Division might avoid them entirely. Let's see how Ubi handles the execution. It was from Mike Fahey's stream on Kotaku. I've never seen a single person wear a backpack like this, but doesn't it show up a lot more often in Ubisoft games? 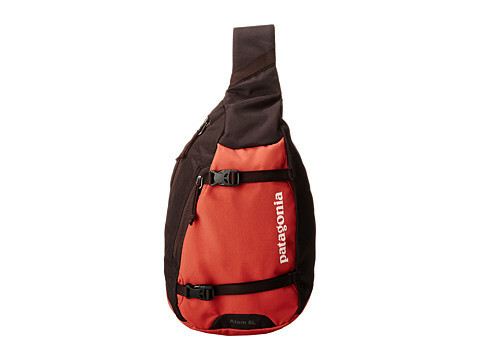 All the 40+ year olds wear beanies and backpacks like these. Ubisoft has their own fashion trend. They also wear hoodies too. I didn't see a hoodie in there, but who knows. I wear my Maxpedition Kodiak every day. I admit, I know pretty much nothing about this game, but can everything be achieved via single player, or is there exclusive content(story, gear) gated behind multiplayer? I dont care for multiplayer and was just curious. The world is incredibly detailed. I almost kinda wish you had to scavenge for supplies. But since you're a soldier on a mission, I'm afraid there will be little need or opportunity to explore the city for stuff. I hope I'm wrong. Honestly if you're not up for multiplayer, I don't see why you would even play this game. It's far better with some friends. My friends dont game, and I wont play with randoms. Just thought it looked like it could be a cool single player game. Some new info about the game. Because it's fun sp. Not everyone likes playing with other people all the time. Interesting randomized faces though I was hoping to see the character creator options themselves. I played the alpha and will be buying the game for it's single player side and maybe some co-op. wait, it has base building? has this been talked about officially at all? Yes! There's an official video about it on The Division YouTube channel. They don't go in-depth, but they do talk about it. It was also talked about in some of the E3 and other convention videos. I can't recall which video on the official page it is, so here's a fan that's brought together of the information concerning bases and safe houses. Someone asked if there were going to be strikes and raids like in Destiny, and while they haven't come out confirm it as such, they did mention multi-squad end-game activities that weren't strictly PvP. For clarification, squads are up to 4 players. From what I've seen, there's a lot to do in the game, quest wise. Sure, there's the story, but there's more stuff along the lines of claiming territory and crafting. There's also a fair bit of customization to be done on both your character and weapon. You should tell that here. Looks like alot of people are scared the endgame is only pvp.